We appreciate your feedback about your support experience with SomewhereWarm, developers of All Products for WooCommerce Subscriptions. This helps us maintain high standards on the WooMarketplace, and helps SomewhereWarm improve. Are your products consumed regularly, or services requested periodically? Ever wished for a frictionless way to make them available on subscription? This is it! 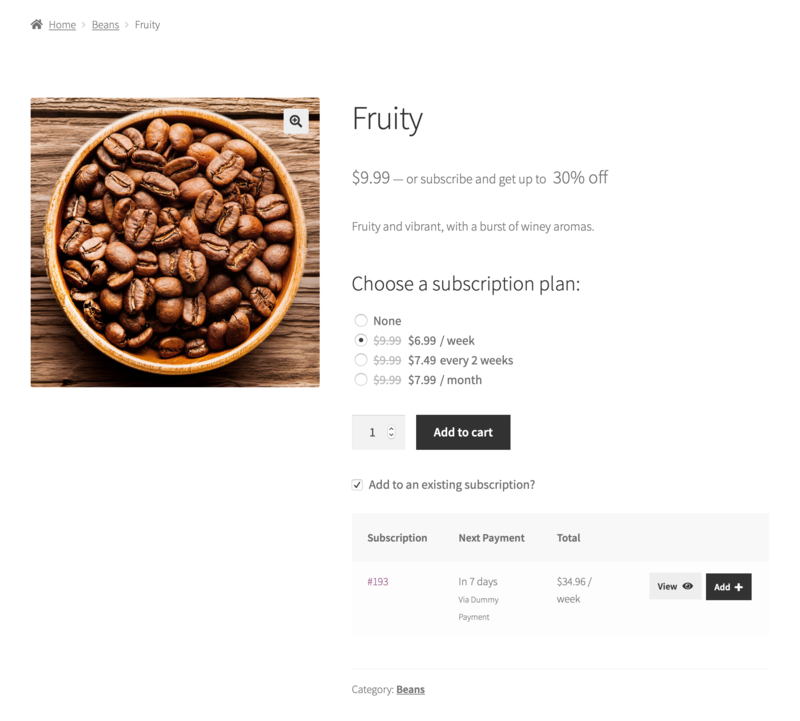 All Products for WooCommerce Subscriptions is a neat add-on extension for WooCommerce Subscriptions that lets you add subscription plans to your existing products. Start capturing residual revenue and building a new relationship with your customers today — without changing the core of your business! 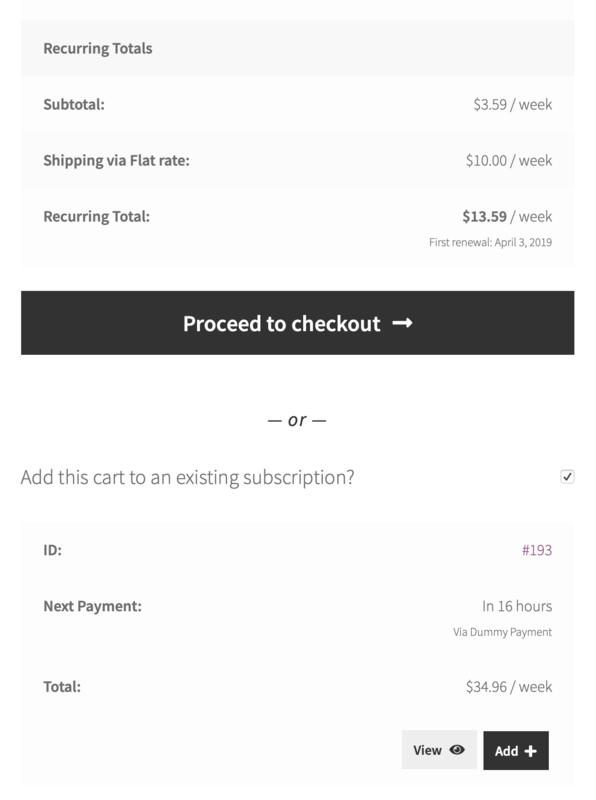 WooCommerce Subscriptions works great if you want to sell subscriptions on your site — but what if you want to let customers optionally subscribe to your products? Make any simple/variable product available on subscription, without changing the way your manage inventory. Offer discounts as an extra incentive for subscribing. Give customers a last-minute opportunity to subscribe, right before checking out. 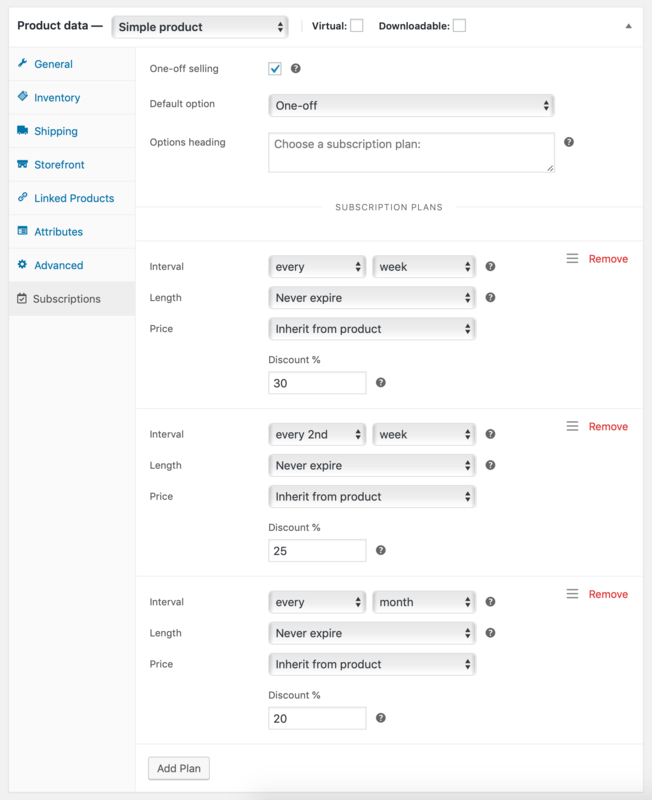 Instead of adding subscription plans to every product in your store, you can add a few subscription plans to the cart page and get started right away. Want to give customers the freedom to add products directly to their subscriptions? With All Products For WooCommerce Subscriptions, it’s possible! Even entire carts can be added to existing subscriptions, instead of checking out as usual! All Products For WooCommerce Subscriptions is fully compatible with Product Bundles and Composite Products. Looking for a way to offer configurable subscription boxes? You just found it! Make sure you have installed WooCommerce Subscriptions, or purchase it now. Buy All Products For WooCommerce Subscriptions. Find an existing product you’d like to make available on subscription. Edit it and navigate to Product Data > Subscriptions. Add some subscription plans and save, or check out the documentation for advanced setup instructions. Sit back and enjoy the extra revenue! 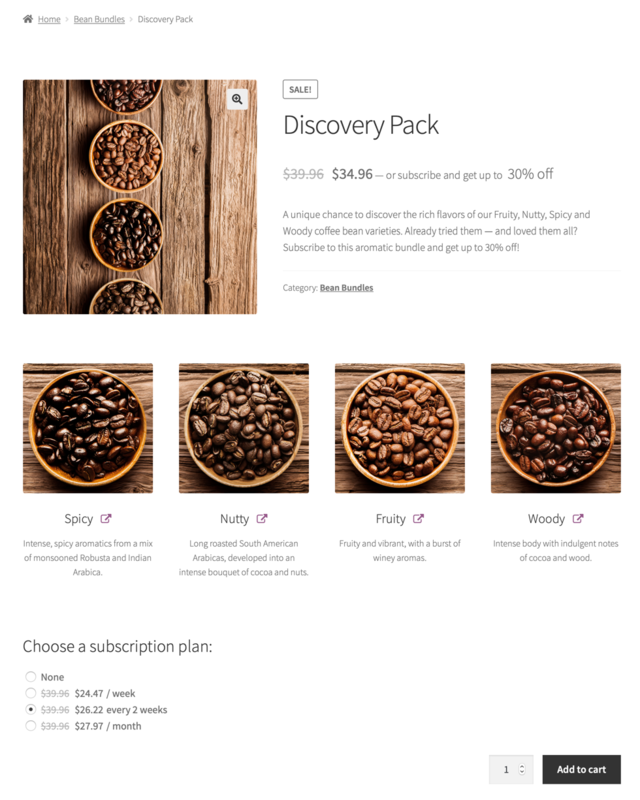 All Products For WooCommerce Subscriptions is a WooCommerce Subscriptions add-on. Please make sure you have successfully installed and activated WooCommerce Subscriptions before purchasing this plugin. And, if you haven’t done so already, please take a few minutes to read this great Introduction to WooCommerce Subscriptions.